I'm a big e-Sports fan as you might know, but I also love golf. I don't watch a lot of golf, but tune in to some of the majors. But i couldn't miss the Ryder Cup. Fresh in mind i had to write about similarities in e-sports, and i've been thinking about this for a while. The Ryder Cup is claimed as the 3rd most watched event on television. It sparks a huge rivalry between the US and Europe. It's a 3 day event where individuals play as a team and represent not themselves, but their country and continent. To read more about the Ryder Cup, check this out. To see an amazing recap of what happened last night check here. For a long time I have tried to explain the similarities between golf and Starcraft 2 to people i know. There are many similarities such as individual performance, played on weekend, majors, individual sponsorships, equipment barriers of entry and so forth. 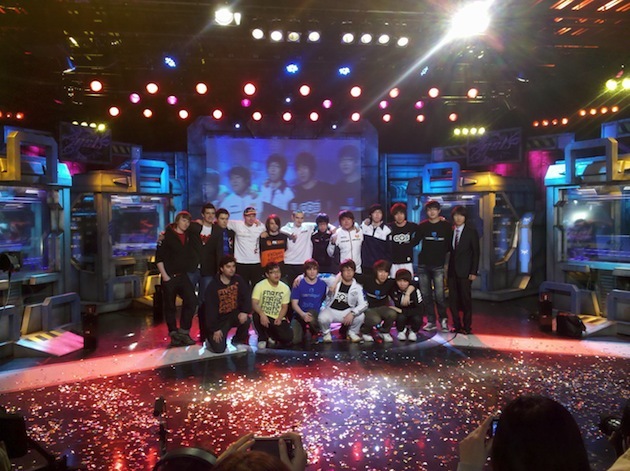 And a while back i was thinking about the GSL World Championship. It's actually very similar to the Ryder Cup. It's the very best individual players coming together as a team, with a strong captain. They play both as a team in team leagues (foursome and fourball in Ryder) and individual games. They unify under one banner, korea vs the world and USA vs Europe. In this regard the presidents Cup is more similar, as it's USA vs The World. The Ryder Cup is played every 2nd year on alternating field, so once in EU and then next time in USA. The WC is this time played in Las Vegas unlike last time in Seoul. I think that's great, and that perhaps every 2nd year is too long for e-sports with an ever changing landscape. What's unique for the Ryder Cup in golf is that the players put everything aside for the competition. They receive no compensation from the Ryder Cup and there is no prize pool. They play for their country, continent, team and pride. Unfortunately i don't think that e-sports is in such a place. With so many young players that aren't as well off as golf players you can't take a weekend out of practice or another tournament to battle for pride. So the GSL WC is close to it, but just today Robert Ohlen, CEO of Dreamhack AB tweeted all the major league heads, lightly about an e-sports Ryder Cup. David Ting and others responded with interest and after i mentioned this, Ting noted that it would be interesting with something collaborative for 2012. What if we could make the GSL WC, or something similar to it as big for SC2 as the Ryder Cup is for golf. I remember cheering for World Team harder than for any individual player, a team is something very different. I don't know what will come in 2013, but I'm looking forward to it. Sorry about the weird order and collection of thoughts, I'm not a good writer and just wanted to jot this down to see what people think. What do you think? 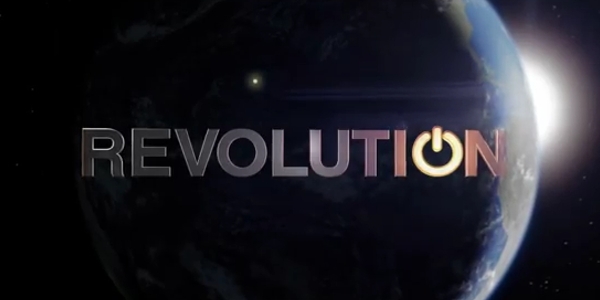 NBC recently released the pilot episode of Revolution on the web, I checked it out and here are my thoughts on it. The show starts out with a huge world wide blackout and flashes forward 15 years. No electronics engines and so forth work, and people are living as well as they can in this future. It's a mix of the movie I am legend and the hunger games. The premise of the show is promising, and the stuff that happend back then is a lot more interesting than what is going on right now. It's interesting but there are inconstancies such as why do guns work but not other mechanical items and so forth. The acting is a bit off, it's not very good, except for the guy who plays a villain. He's gustavo fring from Breaking Bad and it's nice to see him in something new again. The show feels a little cookie-cutter with an evil organisation and them going up against it etc. There's definitely potentional but it could end up badly, like flash forward. Actually it kinda reminds me of that show, perhaps this is an reincarnation of that show in a different way. Unfortunately in this one, the characters weren't very likeable. Another thing i noticed was that the music wasn't that good, i don't usually notice it unless it's really good or really bad. I found myself drifting away and doing other stuff, it didn't quite pull me in, but with a strong ending that sets up the season this could do well. It has J.J Abrams name attached to it and i love the stuff he makes, awake was probably the show of spring 2012 for me. End result, a mixed bag. Potential to be good, but even more to be average. So I'm only cautiously optimistic. The show airs September 17th so check it out, and i will hopefully write a roundup of the new shows that i do check out when the season starts going, so check back for that. Such a good drama show, i like how they kind of think outside the box, specially for american TV. A must watch for sure, and keeps you guessing. Almost forgot about this one, was so long ago it feels like it wasn't 2011. Just an epic tale of epic proportions. And i don't even like fantasy, that speaks volumes. Another must check. Took me by surprise, I'm a sucker for comedies but this one is really good, a newcomer(for me at least) hence the good place in the list. But really spot on show with great characters and plot. Just love it! Continues to be one of the best show on TV. I can't belive they are canceling it, alost one of the smartest, might be why they are throwing it away. Let's just hope the fans succeed in reviving it. Can't say enough good things about it. The season wasn't as strong as the previous but still really good. Another comedy! I know, but hell it's just that good. If you haven't seen it, do it. Another awesome season on par or better than the previous. Can't wait for each episode. I didn't like the trinity season as much, but the whole religious take on this season was quite good. It got long at times but with the twists in it they keep you watching. And the end cliffhanger might be one of the best in TV history. Can't wait for season 7. I've usually been kinda of warm on the office, i like it. But this season has been so much better, i think one of the episodes kept me laughing throughout the entire episode. If you haven't watched it in a while could be a good pickup. Honorable Mention: Sons Of Anarchy. Along with others had a solid season, not good enough to get on the list though. Suits, loved this new show but forgot to add it. I watched all the episodes so fast so it kinda blurred, good main char but there are too many lawyer shows! Same goes for cop shows. The new fail: Terra Nova. Such a promising start of a potential Sci-Fi show, could have really been something special, now it's just a monster of the week somewhat show, hopefully picks up more in Season 2. The letdowns: Fringe & Glee. Ok, it wasn't that bad, and there were some others that let down for sure, and fringe is awesome, that's why it's a shame to see it fall below the level of the last few season. And glee is just going down hill, too much drama, not enough songs, please get better. Also Castle has one of the best leads in the world but cop shows are so zzz. The potentials: Franklin and Bash & New girl. Haven't seen much of these but they could be good. There are also others that i haven't looked at like Awake etc that i will probably skip. What are yours? Until i implement comments get at me @iechuu. So 2011 is kicking of strong in the e-sports scene. Today we had 4 major SC2 tournaments. The GSL finals, OSL finals, Team Liquid Open and the SCreddit open. I watched the GSL finals live and they didn't quite live up but it was quite a show. I hang out on screddit a lot but usually don't watch much of the tournaments, however Destiny was playing so watched that. With Day, Tasteosis, Total Biscuit and others casting and making SC2 bigger this could be the year when e-sports hit main(ish)stream. Oh, and go Jinro! But this isn't all, my brother and the team over there at DotaCommentaries.com are hosting their Dota 2 day tournament. I'll be hosting some of their DC talks for them over my other domain at heynicebeard.com. I haven't posted here cause honestly the system isn't finished cause of school. But I'll post in the meanwhile. Here are the top 5 movies of 2010. What can i say, this is a subject that i love and the movie was executed perfectly. From the sharp dialogue to the perfect cinematography. They even threw in a Tilt-Shift shot. The acting is spot on, the score kills and the direction rocks. A home run. An easy choice for number 2. I had huge expectations and it lived up to it. Nolan once again does not let down. The discussions went on for hours and the ending was just perfect, not a second too long. Also, if you haven't watched Memento, do that. This movie pulled the rug from underneath my feet. I did not expect this. I mean the premise is a guy in a box for 90 minutes, how do you make that interesting? But he sure as hell did and the acting that Ryan Reynolds pulled of was astonishing. Watch it. One of the most anticipated film of the year. I didn't get quite as emotionally attached to it as other people for some reason but still did not let down. The crew over there at Pixar sure seem invincible. A toss up, a lot of movies could have gone here like 'How to train a dragon' or perhaps Iron Man 2 but I'm going with 127 hours. A movie about true human perseverance and will power. An excellent performance by James Franco. These are the movies i still haven't seen that could go up there so i might revise the list. Firstly, welcome to my new website, it's currently being built as you might imagine so if you want some more info check out denisdervisevic.me, you'll find more info there. So, what is this new project one might wonder? Well firstly I'm currently redesigning this webite to serve as a blog where i share some tidbits about what i do and how i do it. I'll also share some photography along with information in the about section. But that's not the interesting part. What will be the interesting part is that I'm starting to design a cusom, built entierly from scratch Content Manegement System, a CMS for short. It will firstly handle blogging, with features such as multiple authors, categories, tags, sorting and all that good stuff. The first phase of the design will be to identify features along with designing the database structure which will be implemented i MySQL. There are also so more design steps that need to be done on the site and a severe cleaning and restructioning of the CSS code.